For Nadia Cruikshanks, the founder of Moobles & Toobles, it was important to create organic clothes that are ethically made but with a fresh, cheeky and original touch at the same time. As an artist, she draws all the illustrations herself. 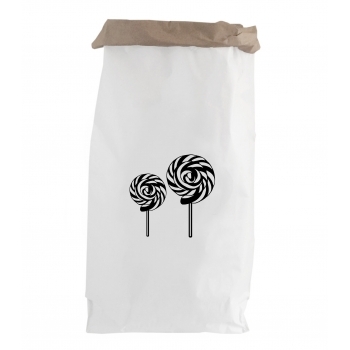 The designs are classic and timeless but with a modern twist. 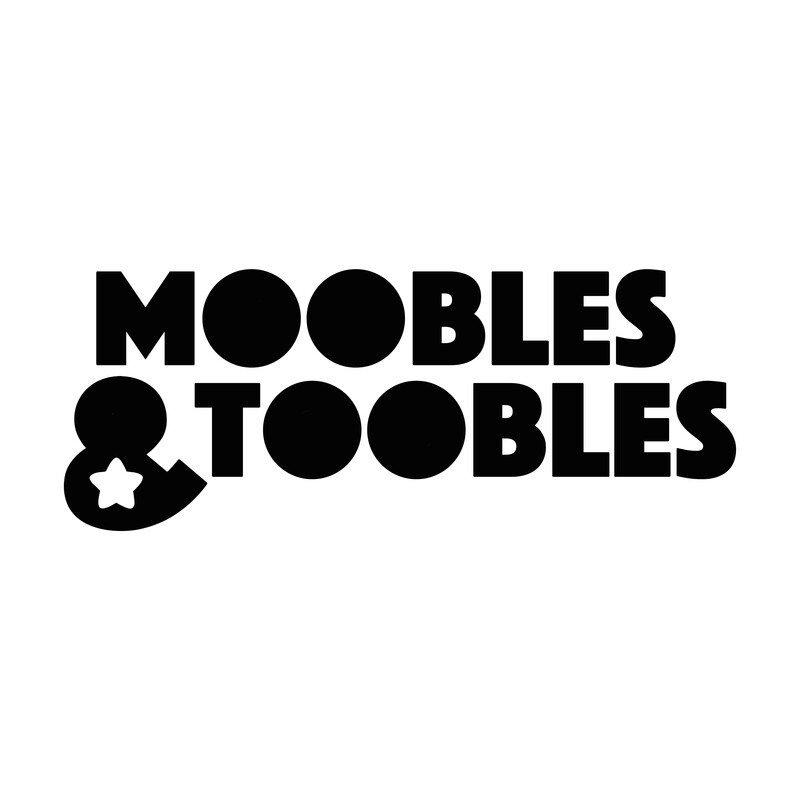 Moobles & Toobles products are made in Europe from GOTS certified manufacturers. 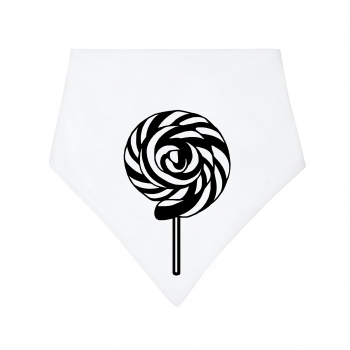 Super soft organic cotton triangle bib in white with black ‚Lollipop‘ print. Perfect for keeping your kid’s chest and top dry. 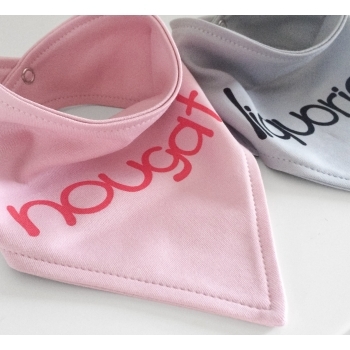 All their bibs are double layered and made from organic and eco friendly products that are safe for your baby and the environment. Lovely and super soft organic cotton blanket with blue and black lollipop print. 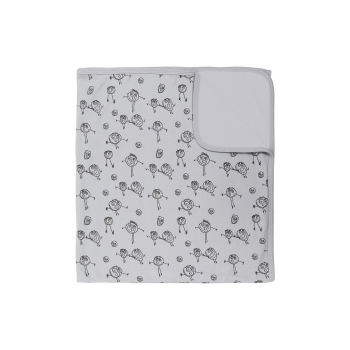 All their blankets are made from organic and eco friendly products that are safe for your baby and the environment. Use it in the pram, the cot or as a swaddle. Perfect for snuggly moments. Want to add an essential accessory to your nursery ? 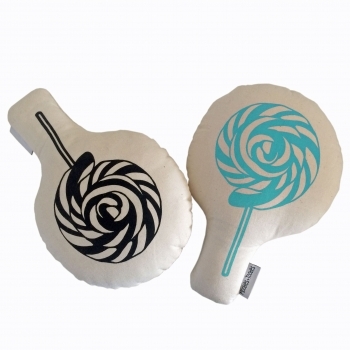 Then this super stylish lollipop rattle with a blue front and a black back which can also be used as a cushion is exactly what need. 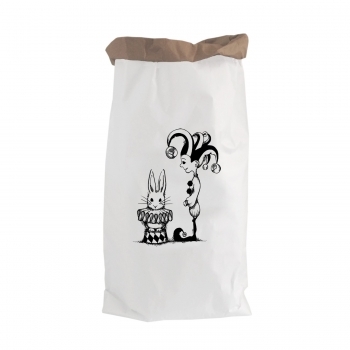 Want to add an essential accessory to your nursery ? Then this super stylish lollipop rattle with a caramel front and a black back which can also be used as a cushion is exactly what need. 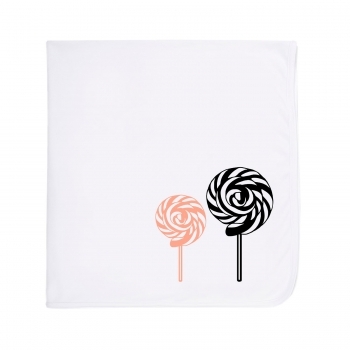 Lovely and super soft organic cotton blanket in grey with doodle print. It’s made from drawings the creators three year old daughter. All their blankets are made from organic and eco friendly products that are safe for your baby and the environment. Use it in the pram, the cot or as a swaddle. Perfect for snuggly moments. 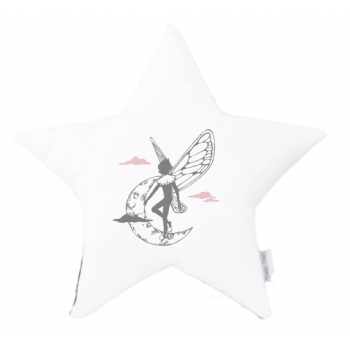 Add some dreamy atmosphere to your kid’s room with this ‚Fairy‘ star cushion. 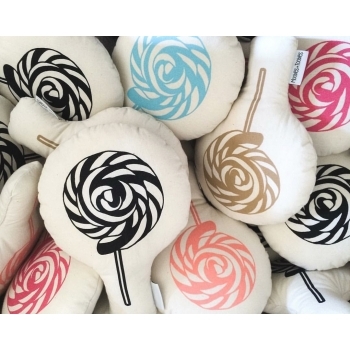 The pillow is hand made with a white calico front, the pink and grey fairy design and a black cotton backing. Perfect for cuddly moments. 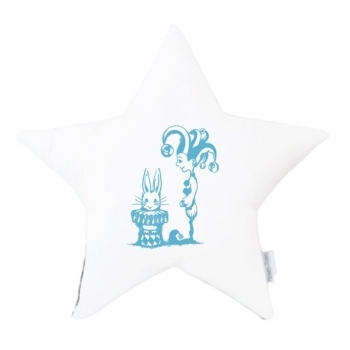 Add some dreamy atmosphere to your kid’s room with this ‚Jester Bunny‘ star cushion. 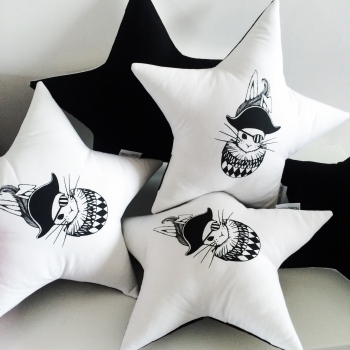 The pillow is hand made with a white calico front, the blue bunny design and a black cotton backing. Perfect for cuddly moments. 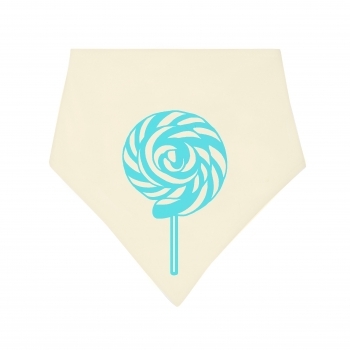 Super soft organic cotton triangle bib in a natural ecru with blue ‚lollipop‘ print. Perfect for keeping your kid’s chest and top dry. All their bibs are double layered and made from organic and eco friendly products that are safe for your baby and the environment. 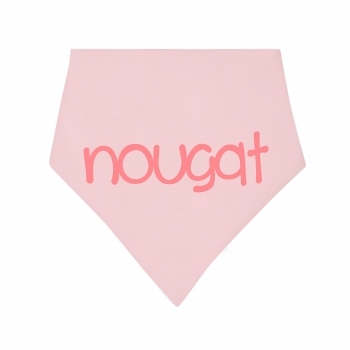 Super soft organic cotton triangle bib in blush with pink ‚nougat‘ print. Perfect for keeping your kid’s chest and top dry. All their bibs are double layered and made from organic and eco friendly products that are safe for your baby and the environment. 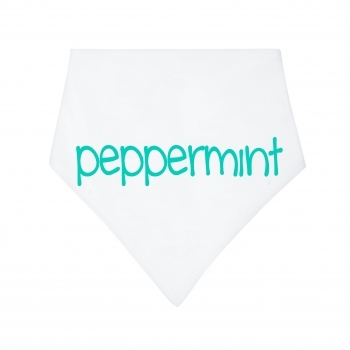 Super soft organic cotton triangle bib in white with mint ‚peppermint‘ print. Perfect for keeping your kid’s chest and top dry. All their bibs are double layered and made from organic and eco friendly products that are safe for your baby and the environment. Want to add an essential accessory to your nursery ? 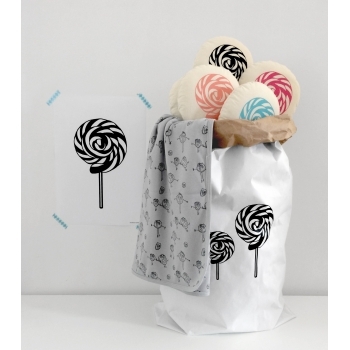 Then this super stylish lollipop rattle with a pink front and a black back which can also be used as a cushion is exactly what need. 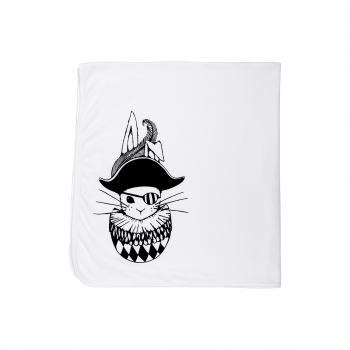 Lovely and super soft organic cotton blanket with black Tudor bunny design. All their blankets are made from organic and eco friendly products that are safe for your baby and the environment. Use it in the pram, the cot or as a swaddle. Perfect for snuggly moments. 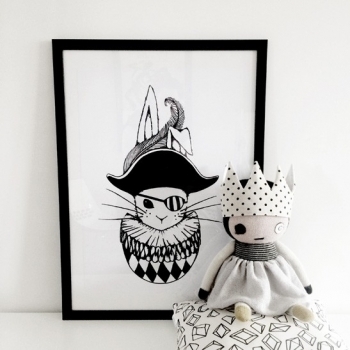 This lovely monochrome ‚Tudor Bunny‘ poster in DIN A3 will add a royal British note to your kid’s room. 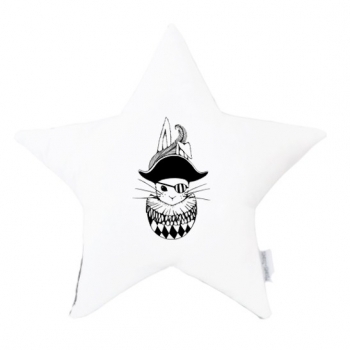 Add some dreamy atmosphere to your kid’s room with this monochrome ‚Tudor Bunny‘ star cushion. 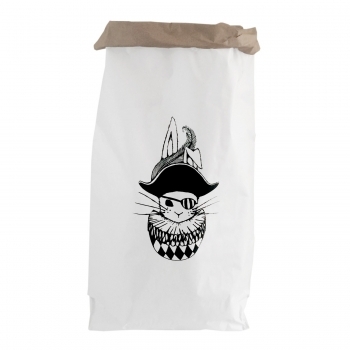 The pillow is hand made with a white calico front and a black cotton backing. Perfect for cuddly moments. 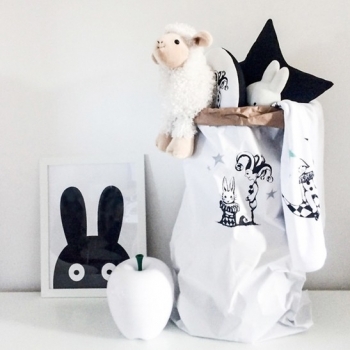 Want to add an essential accessory to your nursery ? Then this super stylish lollipop rattle with a watermelon front and a black back which can also be used as a cushion is exactly what need.